The Town has two Drinking Water Systems (Cardinal Woods and Island Lake). Water meters are read and water rates billed once a month. The Water bills can be sent over email. To register for paperless billing email your account number, name, and email address to cathy.crawford@townofmono.com. Water rates, shown below, are calculated on a sliding scale which increases with higher consumption as we encourage users to conserve water. The water systems are constantly monitored and maintained, which includes periodic flushing of the water mains. When this is done, water may be discoloured for a short period of time, but should be clean within 15 minutes. Residents are notified when flushing is planned. In the Related section are reports that are available for all interested residents to review. 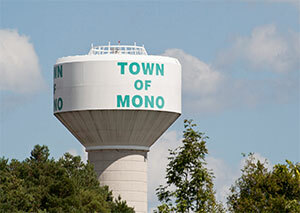 The Town of Mono has an Operational Plan for the Town's water supply and distribution system. This Plan was developed in order to meet the Ministry of the Environment's Drinking Water Quality Management Standards. The Quality Management System (Operational Plan) was created for the operation and maintenance of the Town of Mono's water supply and distribution systems, collectively the "Mono Water Works", is documented in this Operational Plan. It has been prepared by the Operating Authority (Town of Orangeville) for the systems, as part of our continuous efforts to ensure clean, safe and reliable drinking water is supplied to all customers served by the Town of Mono's two systems (Island Lake and Cardinal Woods). The development, implementation and continual improvement of the Operational Plan will help to ensure that all regulatory requirements are met, and that consumers can be confident that their drinking water will be safeguarded through the effective application of the Quality Management System. 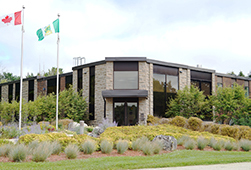 The following is the Quality Management System Policy for the Town of Mono Drinking Water Systems. complying with the applicable legislation and regulations. The Water Quality Management System Plan is available for viewing at the Town Hall.